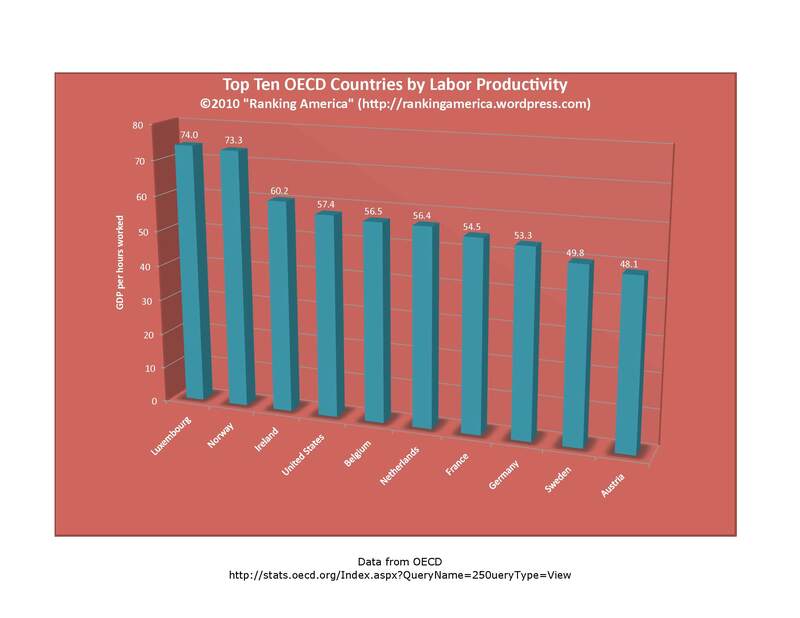 According to the OECD, the U.S. has a productivity rate of $57.40 per hour worked, which makes the United States rank fourth in that category. 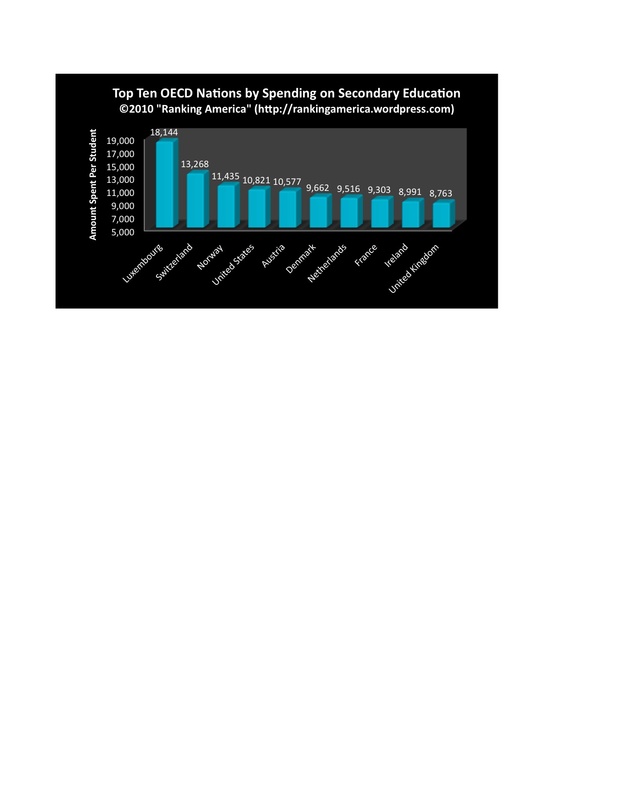 Luxembourg ranks first, at $74.00 per hour worked. 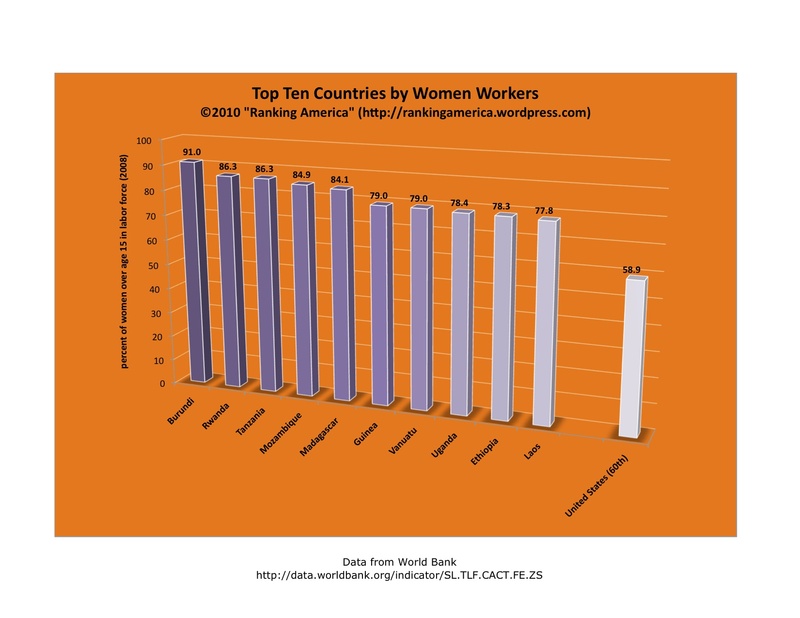 According to the World Bank, 58.9% of all American women over the age of fifteen were in the labor force in 2008, which makes the United States rank sixtieth out of one-hundred-eighty-four countries ranked in that category. 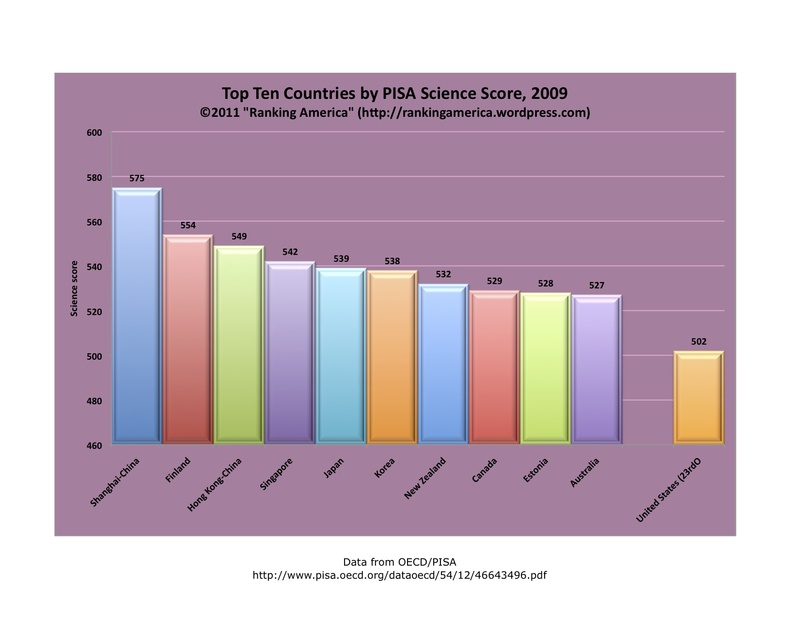 Burundi ranks first at 91.0%. 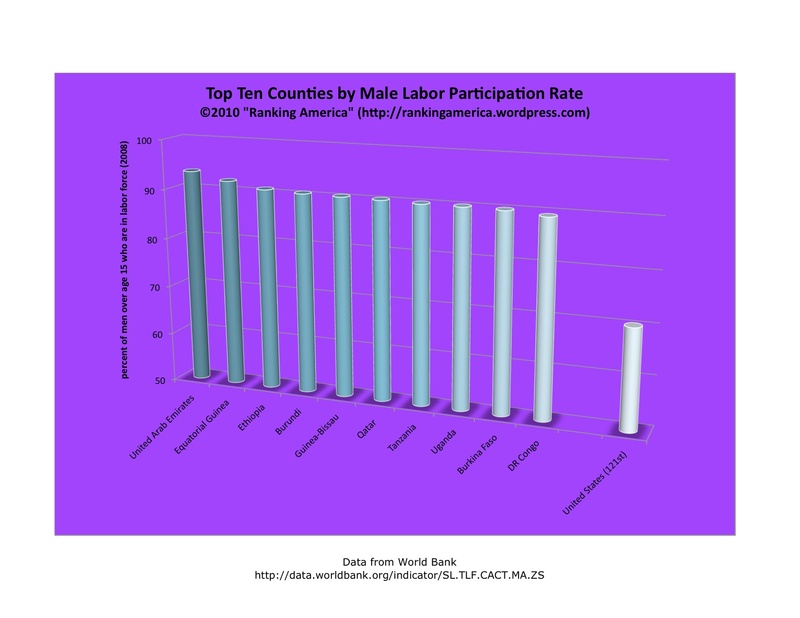 According to the World Bank, 70.3% of American males over the age of fifteen were in the labor force in 2008, which makes the United States tied for one-hundred-twenty-first in that category with Chile and Turkmenistan. The United Arab Emirates ranks first, at 93.5%. 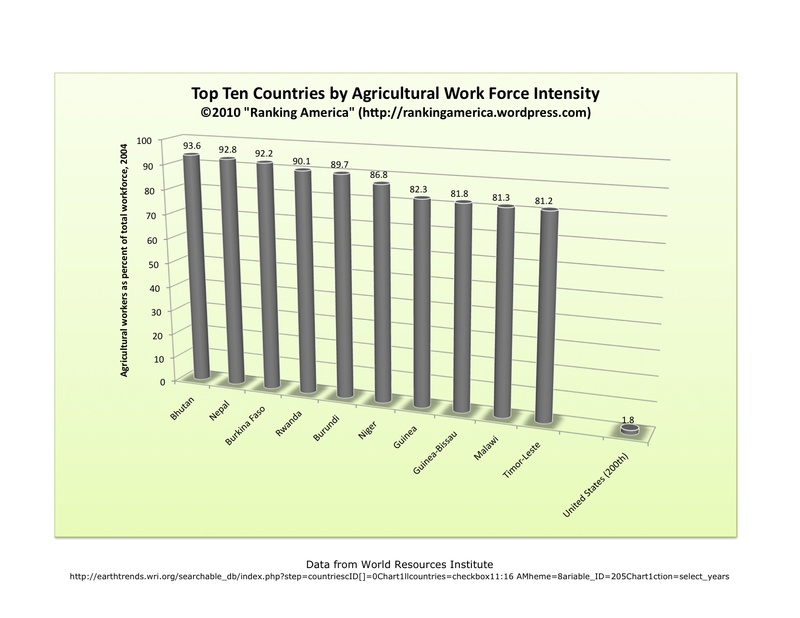 According to the World Resources Institute, in 2004 agricultural workers accounted for 1.8% of all workers in the United States, which makes the United States rank two-hundredth out of two-hundred twenty eight ranked countries. 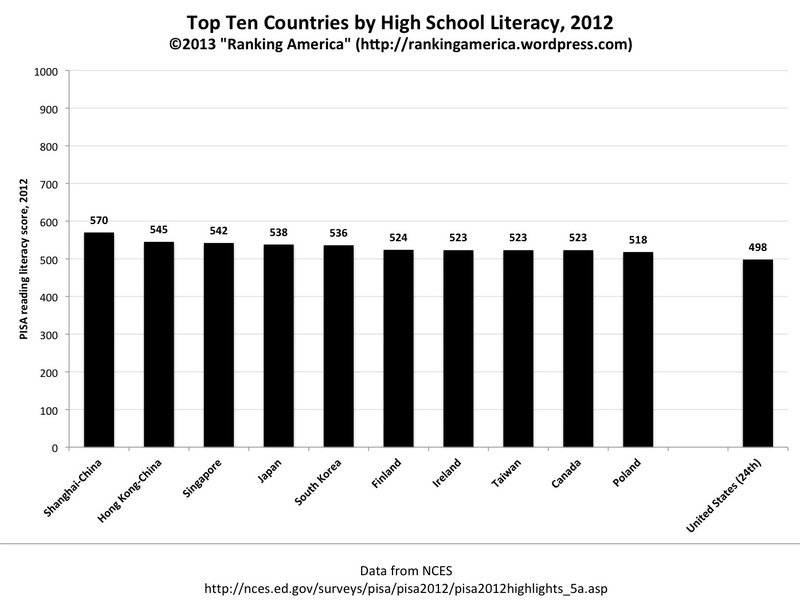 Bhutan ranks first, at 93.6%. 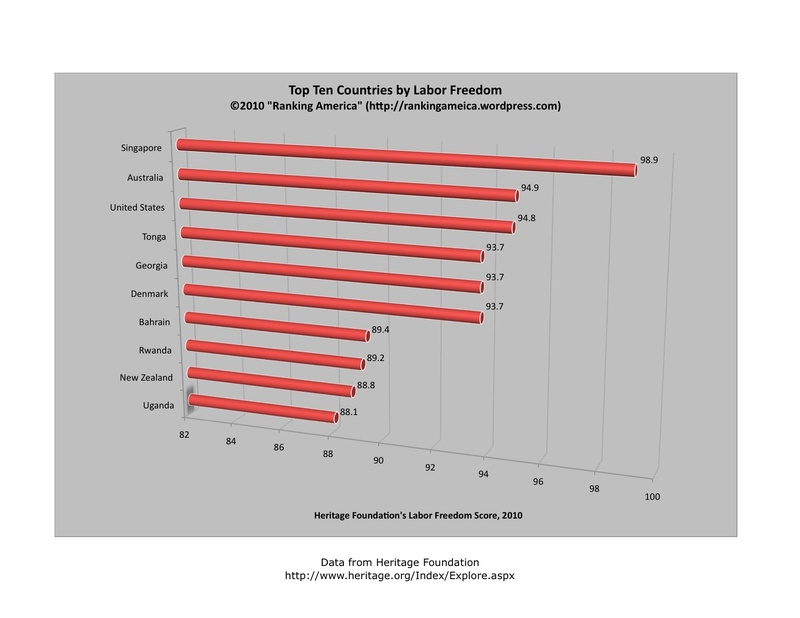 According to the Heritage Foundation’s 2010 Index of Economic Freedom, the United States has a “labor freedom” score of 94.9, which makes the United States rank third out of 179 ranked countries. 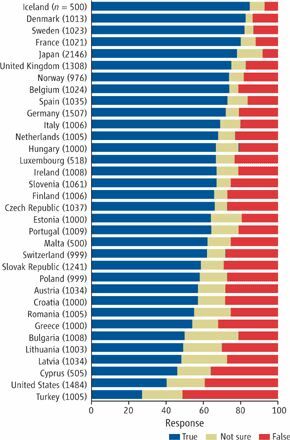 Singapore ranks first, with a labor freedom score of 98.9. 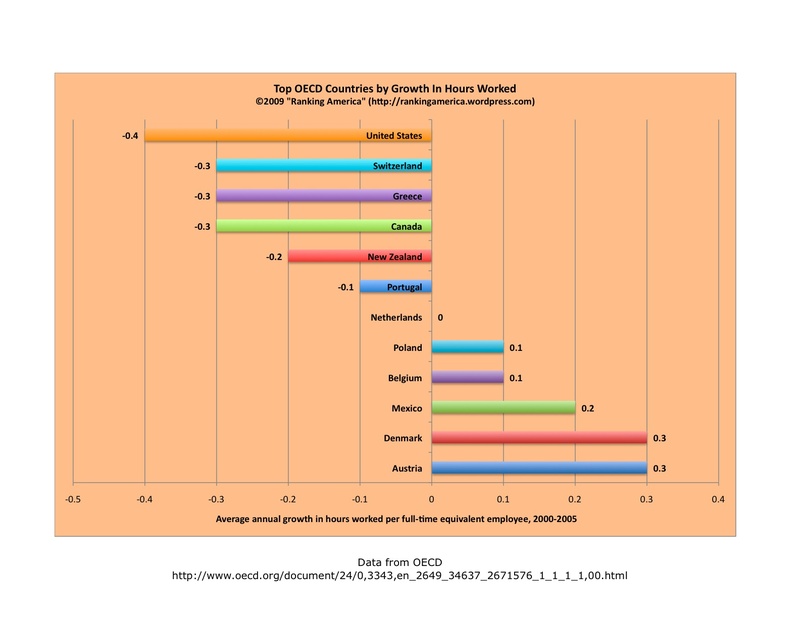 According to the OECD, between 2000 and 2005, there was an average annual decrease of 0.4 hours worked per full-time equivalent employee. 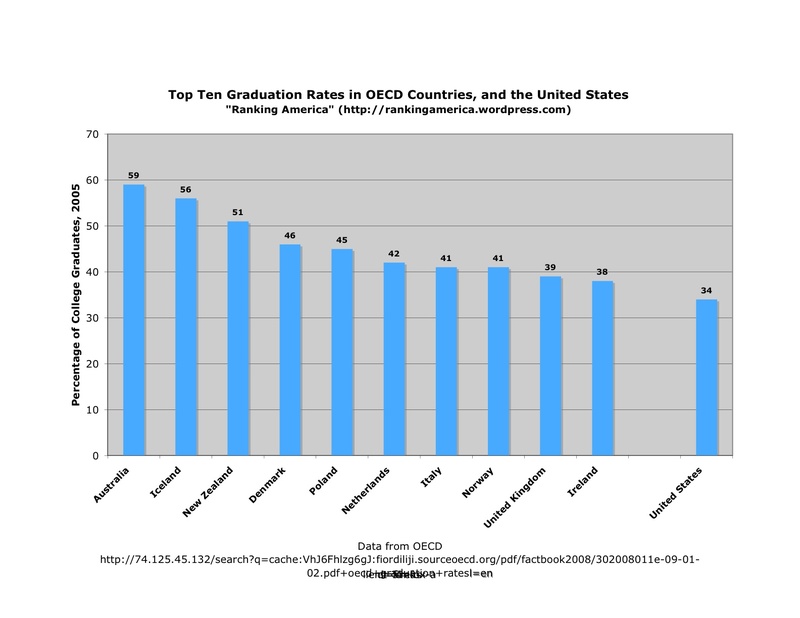 This was in line with the OECD average, and was enough to make the United States tied for twelfth with Finland, France, and the United Kingdom. 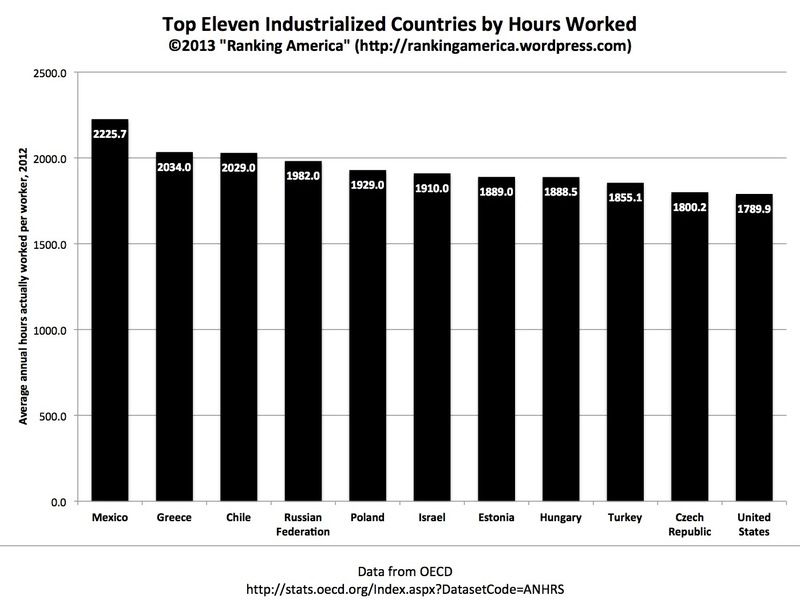 Austria and Denmark were tied for first, with an average annual increase of 0.3 hours worked.